Add your Instagram feed to any page using the Instagram element. Display description and hashtag content or just the images. To get started, drag the Instagram Element onto your page. From here, you will need to add your account in order to display your feed. You can choose to hide the description of the images from the Instagram Element. 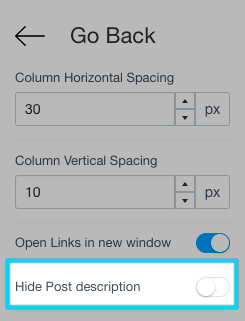 Simply toggle this in the right-hand menu of the editor. 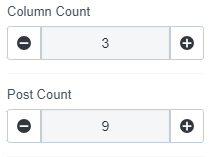 Shogun gives you control of the amount of posts that are loaded, as well as the number of posts in a column. This can help you refine the look of the Instagram element. 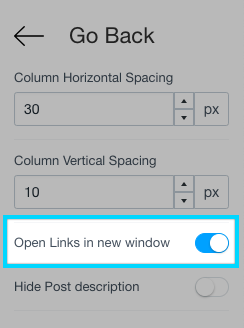 Sometimes you want to direct the user to your social account without making them leave the site, use the 'open links in new window' option to do this. Removing an Instagram account from Shogun is super simple. First, you will need to ensure that you are logged into the Instagram account that you would like to remove from Shogun. Next, navigate to the 'Authorized Apps' section of your profile settings. You can then opt to 'revoke access' to Shogun. Once you are logged in, you can click here to go to the right page. In order to add another account to Shogun, first ensure that you are logged out of an already connected Instagram account. Next, log into the Instagram account that you would like to connect, you can now go about the standard method of adding an account.